On December 30th, prolific writer Peter A. David suffered a stroke. 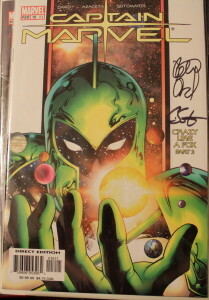 I had the fortunate opportunity to meet him at C2E2 2010. I remember C2E2 2010 as being kinda cramped in the smaller Lakeside building of McCormick Place, but it was the first year and no one really knew what to expect. I was a huge fan of Captain Marvel. I loved the story but was really into the amazing colors by Chris Sotomayor. When talking with Doug about getting some of my Captain Marvel issue signed by Sotomayor, I’ll never forget his reaction: “You know Peter David is just sitting right over there, right?” Coming from the Wizard World conventions where more well-known creators were only being hosted at publisher booths that required you to wait in long lines, I was kinda shocked at the wealth of talent in the Artist Alley portion of C2E2. Peter David was incredibly personable and great to talk to. He gave some behind the scenes stories of the Captain Marvel book. You could tell as he was flipping through it and commenting on the art, that he was not only looking at the book as something he helped create but as a fan of the book or medium as a whole. So as we wait patiently for news from his blog or his twitter on his recovery, allow me to share with you some of my favorite Peter David books. I was a casual fan of Kevin Smith in High School, but I think it was at the Chicago Comic-con (Wizard World Chicago) in 2001 when Scott and I sat through like 3 panels to get good seats (Scott has the tape… yeah tape… of that show somewhere) that I came to value his appreciation for the comics medium and its fans. Kevin Smith has worn many hats throughout his 20 years since Clerks. Writer, Director, Actor, Speaker, Twitter-er, and most recently Podcaster. 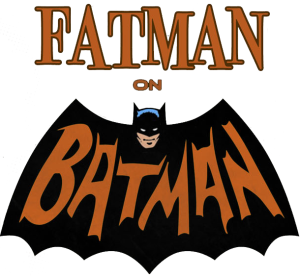 One of the Podcasts that is most endearing is Fatman on Batman. Its been a while since I’ve posted an update about the status of the site and the database. So, I’m going to quickly run through some of the things we’ve been up to at OpenCBDB. The tables for Titles, Volumes, Publishers, and Issues are setup and we’ve filled them with some data (the combined collections of myself and Doug Von Doom along with the issues we don’t have). 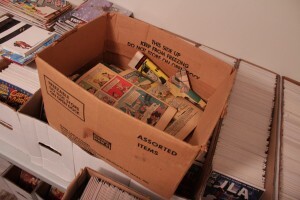 We have about 35, 000 issues in about 1,000 different titles (with 1100 volumes). We’ve tried to put a few creators out there (about 3300) with their credits (applied to different roles on the 35K issues for about 68K credits). We’ve only been able to put up about 3500 covers so far, but we’re adding more every day. If you’re a registered user, you’ll be able to track your collections online. Once logged in, on each issue, you’ll be able to add issues into your library. When they’re in your library you can view a nice list of the issues you have, AND a checklist for the issues you’re missing. This way you know what issues you need to track down. And if adding issues into your Library one at a time is too slow, from your Library menu you’ll be able add your whole runs to your library at once! Just pick the title, and start typing your issues in. You’ll also notice that if you’re a registered user, you’ll be able to add and edit the information in the OpenCBDB. You’ll be able to add new Titles, Volumes, Publishers, Issues, etc! And we’ve got tons more ideas in the wings. So one thing I’ve looked for in every comic collecting software is the ability to make this list for me. I put in the comics I have. It knows the ones I need. Right? Seems pretty simple. 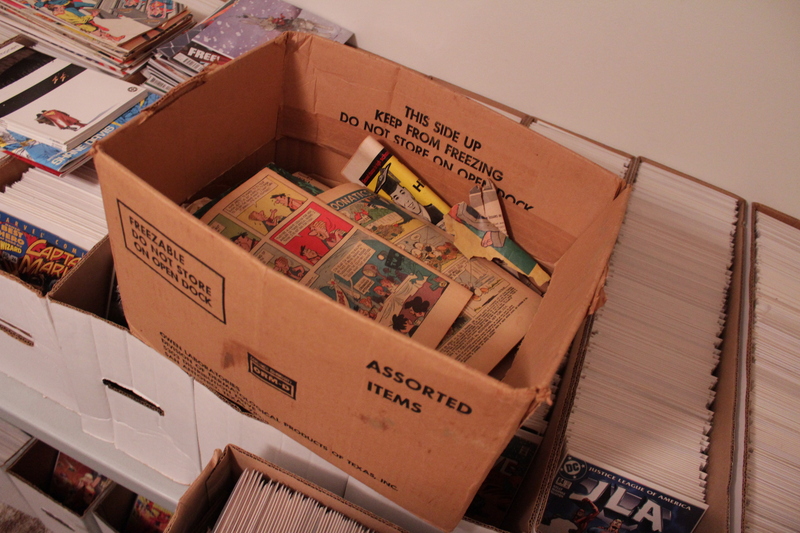 I’ve tried most of the comic collecting software available for the past 10 years. Nothing. I’ve submitted this feature request to nearly every one of them. I made a quick web DB for my friends to use on my personal web server. It was pretty neat. We used it to keep track of our inventories and we built it with the features we wanted. Then it crashed. So we figured, if we have to re-write it, might as well open it up for everyone. One of the problems we had was inputting all the base data. Most sites online don’t allow for the ability to link or scrape their information. That’s another reason why we made this site. It’s open for anyone to do anything they want with the information. We’re all fans of comics. This info is the same to all of us. Who cares who scrapes it or uses it.